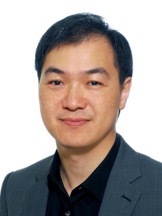 Dr. Lai is a specialist in family medicine with special interest in musculoskeletal medicine. He completed his medical training in The University of Hong Kong. Then he pursued his musculoskeletal medicine training in University of Otago, New Zealand and obtained Post-graduate Diploma of Musculoskeletal Medicine with credit. He has started to learn musculoskeletal ultrasound since 2004. His daily clinical duty is to manage degenerative pain and sport injury patients with diagnostic musculoskeletal ultrasound and ultrasound-guided interventions. He enjoys teaching and is the chairman of board of education, Hong Kong Institute of Musculoskeletal Medicine. He teaches biomechanics, osteopathic manual therapy, prolotherapy, PRP and musculoskeletal ultrasound. His treatment regimen is to treat pain patients non-operatively.